While it's natural to assume any oil consumption indicates an engine problem, it can be a normal part of engine operation, depending on the vehicle. In fact, Chrysler considers oil consumption of up to one quart every 500-2,000 miles to be normal under certain conditions. GM considers one quart every 2,000 miles normal in some conditions. In some cases, using a higher viscosity motor oil can help fill the widening gap between the rings and cylinder wall, reducing oil consumption. Some vehicle manufacturers recommend multiple oil viscosities based on climate, such as 5W-20 in colder weather and 10W-30 in warm climates. Most, however, recommend a single viscosity. If your vehicle owner's manual recommends different viscosities, try switching to a higher viscosity within the acceptable range to help seal the rings. You can also try using a cleaning agent to free stuck rings. AMSOIL Engine and Transmission Flush helps clean piston and ring deposits, promoting the formation of a good seal to reduce oil consumption. For ongoing maintenance, a high-quality fuel additive, such as AMSOIL P.i.®, helps keep the pistons and rings clean and functioning properly for maximum engine performance. It's also a good idea to use a high-quality synthetic motor oil proven to resist oil consumption, such as AMSOIL synthetic motor oils. They're formulated with high-quality synthetic base oils that offer improved resistance to heat. As a result, they naturally resist oil consumption better than conventional oils. In the NOACK Volatility Test (ASTM D5800), AMSOIL 5W-30 Signature Series Synthetic Motor Oil showed 38 percent less oil consumption* than the tested conventional oil, helping reduce the number of top-offs necessary. Turbodiesel vehicles have established a loyal customer base in North America. Follow these sound maintenance practices to extend the life of these powerful and expensive engines. Upon startup, allow the engine to warm up before revving it or driving off. This is especially important in cold weather. Hot and cold engine parts expand at different rates, which could cause gaps that lead to leaks or gasket failure. It is equally important to allow the engine to adequately cool down before shutting it off, especially if the vehicle has been under heavy load for a prolonged period of time. Address any changes in smoke color. White smoke is often a sign of coolant in the combustion chamber or injector malfunction, and blue smoke is usually a sign of oil in the combustion chamber. If your vehicle has exhibited changes in smoke, it’s important to correct the problem quickly before it leads to further damage. Don’t allow the engine to overheat. Maintaining a proper cooling system is vital to the longevity of your vehicle. Follow the original equipment manufacturer (OEM) recommendation on cooling system maintenance. When making engine modifications, be sure to keep track of engine, oil, coolant and exhaust gas temperatures. Engine problems often originate in the fuel tank. Water can find its way into the tank either from the fuel station or through condensation from heating and cooling. It’s important to drain off that water regularly or when the vehicle indicates your fuel/water separator is full. Because today’s diesel technology cycles so much fuel back to the tank, and carbon particles can separate from the fuel and collect in the tank and fuel filter, it’s important to use a premium fuel additive like AMSOIL Diesel Injector Clean to minimize these effects. Ensuring you have fresh fuel is also important, so when the temperature drops, you can be confident your vehicle will start. Diesel fuel injection systems rely on fuel flow to keep the pump and injectors running at safe operating temperatures. Clogged fuel filters restrict flow, which can lead to damaged pumps and injectors or filter failure. Make sure you follow the OEM recommendation for fuel filter changes. Clogged air filters decrease fuel economy and reduce horsepower. If contaminants are allowed through the filter, catastrophic engine damage can occur in minutes. Regularly check the filter minder (if equipped), or follow the OEM change recommendation. If you frequently drive in dusty conditions, consider changing the air filter more often. Bypass oil filtration systems feature a secondary filter with the purpose of eliminating nearly all contaminants from the oil. They draw approximately 10 percent of the oil pump’s capacity at any one time and trap the extremely small, wear-causing contaminants that full-flow filters can’t remove. This continual process eventually makes all the oil analytically clean, reduces long-term wear and can extend oil drain intervals. 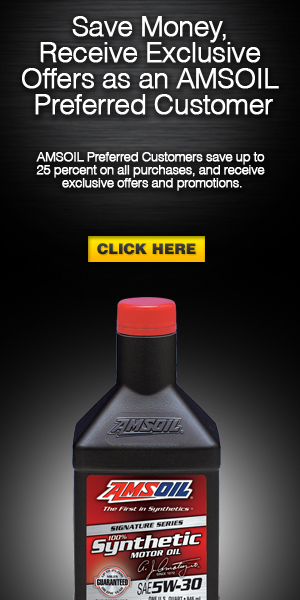 Consider adding an AMSOIL Bypass System to your vehicle. Turbodiesel vehicles produce a number of challenges for lubricants, and the importance of using premium-quality synthetic diesel oils cannot be overstated. Turbochargers can spin over 100,000 rpm, creating intense heat and shearing forces that can cause lower-quality lubricants to lose viscosity and their ability to reduce friction, wear and heat, putting critical engine components at risk. Not only that, but turbodiesel vehicles suffer a certain level of fuel dilution, exacerbating viscosity loss and creating an environment more susceptible to engine wear. Lubricants that provide maximum protection and performance under extreme heat and loads are essential to maximizing equipment life and minimizing downtime. And because one of the primary benefits drawing customers to turbodiesels is fuel economy, it is important lubricants also does their part to maximize fuel economy benefits. In addition, maintaining a clean engine promotes proper engine operation. Turbochargers have small orifices that must stay clean in order to properly lubricate and remove heat from the bearings. Coming in December, the new API CK-4 and FA-4 diesel oil specifications focus on drastically reducing emissions and improving fuel economy while providing increased engine protection benefits through improvements in oxidation stability, shear stability and resistance to aeration. AMSOIL customers can be well-assured that we will be ready for the implementation of the new diesel specifications with top-performing synthetic formulations. Details will be unveiled in the coming months. Robert Bruton Independent AMSOIL Dealer. The new API FA-4 specification is designed to further improve fuel economy and reduce emissions. FA-4 oils are not backward-compatible and may only be used in certain 2017 and newer over-the-road trucks when approved by the original equipment manufacturer (OEM). 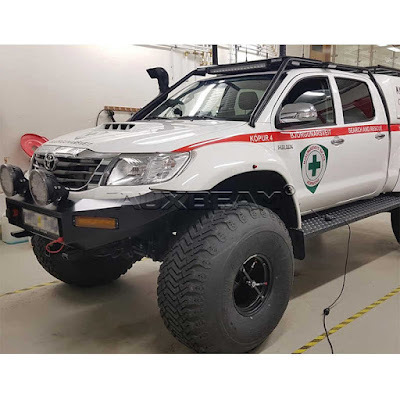 Automotive and trailer undercoat, spare tire carriers, battery terminals, tailgate hinges, handheld tools, snow plows, mower decks and blades, snowblowers, skid-steer attachments, farm machinery, forklifts, metal gates/fences and much more. We tested MPHD’s corrosion prevention properties on both aluminum and steel. The three aluminum pieces in the upper left were treated with MPHD on their lower halves, while the three aluminum pieces in the upper right were untreated. The three steel pieces in the lower left were treated with MPHD on their lower halves, while the three steel pieces in the lower right were untreated. Following treatment, the pieces were placed in a 5 percent saltwater bath for one hour, removed and allowed to dry for 23 hours. This process was repeated for two weeks. As seen in the pictures, the portions treated with MPHD show no signs of corrosion. 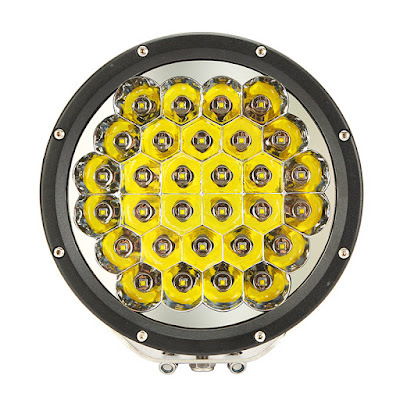 Bruton Motor Sports carries a great selection of LED lights for your vehicle. Light bars, replacement bulbs, single lights and tail lights. If it's time to light it up we can help. 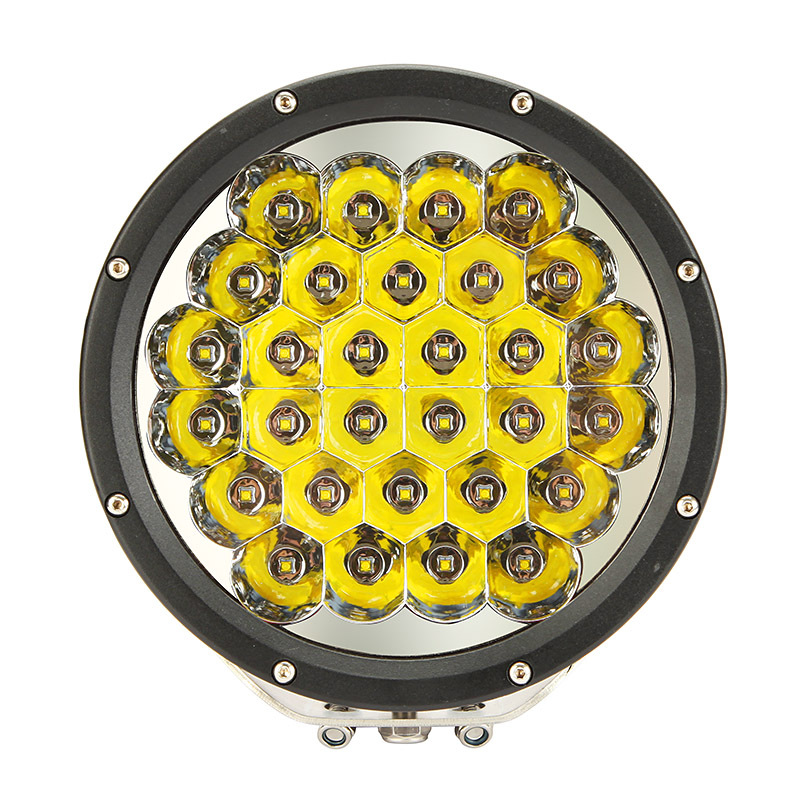 Great lights will light the way off-road and get you safely to your destination. The strongest and lightest DOT / JWL approved wheel on the market. 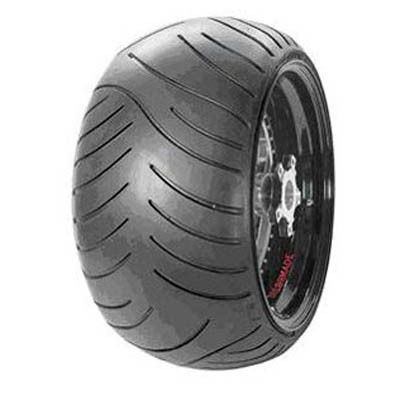 The Yamaha R1 BST 5 spoke carbon composite wheel is made using the latest technology, materials, and manufacturing processes. 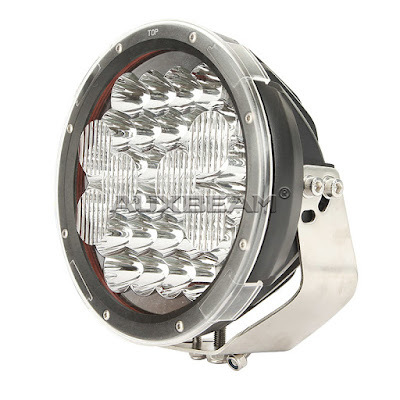 This lightweight and the exceedingly strong wheel are suitable for both racing and street racing use. The wheels have been tested at Rim Technology, Eurotype Test Centre, and German TUV, and passed all the tests for road certification. And most important of all, our wheels are unique in that they are created as a single unit - we don't bond pieces together. BST Yamaha R1 wheels are unique - monocoque (single unit) design with 5 hollow spokes and are suitable for both street and race use. 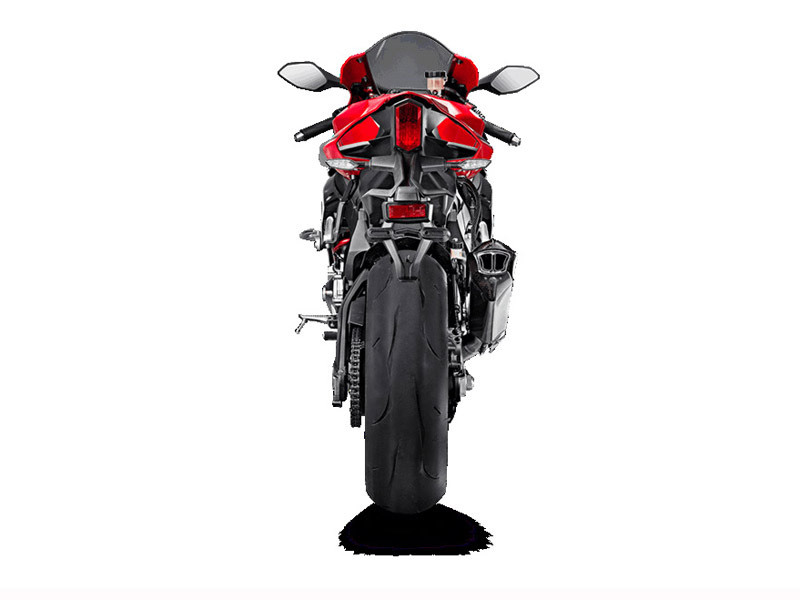 BST Yamaha R1 Carbon wheels will save you anything between 40- 60 percent by weight, and more importantly, are designed to deliver the lowest Moment of Inertia - the critical factor that affects the performance of the bike. Because BST can engineer with carbon fiber and maximize on its properties of high strength and low weight, we have reduced the weight in the spokes and rim without compromising strength. The weight is, therefore, concentrated in the hub, which means that rotational inertia is reduced, making the bike easier to handle, and allowing you to accelerate quicker and brake later. So not only is the wheel lighter, but it is engineered for maximum performance. The entire process is managed under ISO9002 standards. BST design the tooling, molds, wheel and the hubs and manufacture them onsite. Cutting machines such as those used in the aeronautical industry ensure that the process is guaranteed and repeatable to certified high standards. The layup is done in a clean room (dust free, temperature controlled). The wheels are cured in an Autoclave at 125 degrees C and 6 bars of pressure. This ensures the best compaction and surface finish. AKRAPOVIC YAMAHA R1 2015-2016 Stainless Full Race System is ready for your ride from ToBeFast.com. 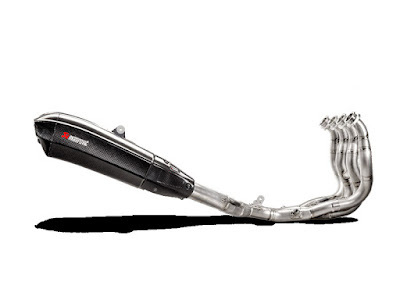 Developed by the revolutionary Akrapovic concept and the company?s experience in top-level motorcycle racing, the new Akrapovic Racing Line exhaust system for the 2015 Yamaha R1 is designed for riders that demand maximum performance from their motorcycle. 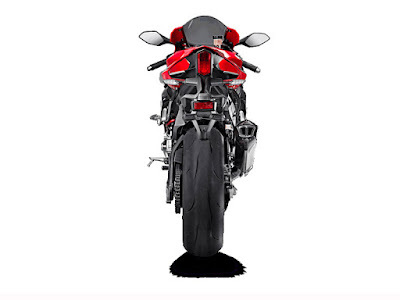 This innovative muffler design is crafted from hi-tech carbon fiber, with the rest of the system constructed from lightweight, beautifully finished stainless steel, which perfectly matches the sporty nature and lines of the bike. The Evolution Line system is designed to provide increased engine performance and higher torque to the machine, as well as that unique Akrapovic racing sound to make it stand out from the crowd. 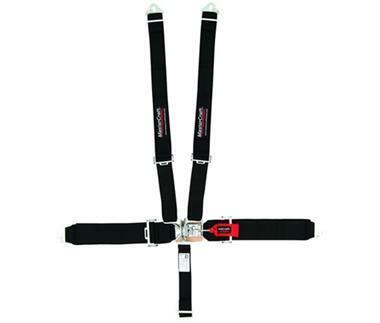 MasterCraft 3" driver restraint systems for competitive and recreational use meet or exceed SFI 16-1 specifications. Hardware is manufactured from sheet alloy steel or drop forged alloy steel, with military specification webbing. Most sanctioning bodies will require that belts be re-webbed or replaced two years after the date stamped on the SFI tag. This is done to protect your safety. The lap belt is 3" wide x 55" long with 2" or 3" pull down adjustments and hook and loop latch guard cover. 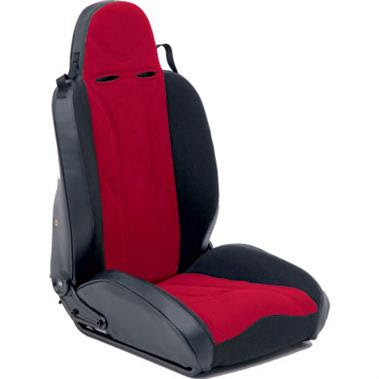 Welcome to the next generation of performance seating for your Jeep vehicle. The revolutionary Smittybilt XRC series seats deliver innovation and comfort that Jeep enthusiasts demand. 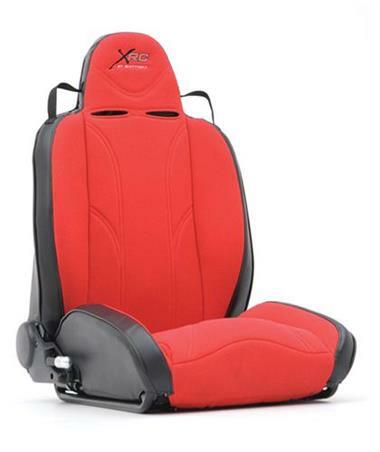 This XRC seat meets the market demands for performance, style, and affordability. The XRC seat starts off with a Kodiak frame which is one of the strongest tubular frames in the industry then complimented with high-performance foam pack with a contoured single suspension liner, which provides the ultimate in comfort and quality. 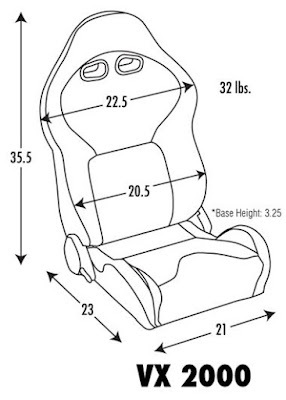 Heavy duty 9 position recliner, MIL Spec fabrics and accommodates 5- point safety restraints. 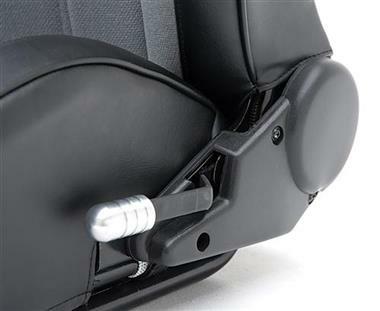 Works with most 3-point restraint systems and its fully adjustable reclining system and fixed headrest design give the look and comfort needed for every situation. 1997-02 TJ Wrangler and Unlimited require will require seat bracket adapters sold separately. Sold individually. Lot's of cool colors to choose from. Call us today. 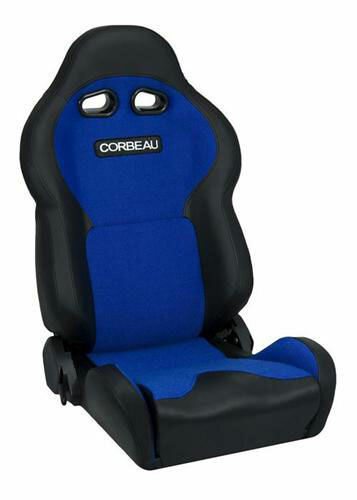 Corbeau has by far the widest variety of aftermarket reclining seats available today. With over 20 years experience in aftermarket seating, they are sure to have a reclining seat to meet your needs and budget. The Corbeau Baja RS is the finest reclining suspension seat you will find. The Moab and Baja RS are both direct bolt-in replacements for CJ and YJ Jeeps. The A4, LG1, CR1, TRS, and VX2000 will give you unsurpassed support with a sporty edge. The GTS II and Sports Seat will give you that stock looks with added class and luxury. All Corbeau reclining seats will fit on Corbeau custom brackets, which will allow them to fit in almost any vehicle. The Baja RS Reclining Off Road Suspension Seat was designed for the off-road enthusiasts who still want the comfort of a daily driver and the safety of suspension. The Baja RS seat is a direct bolt-in for CJ and YJ Jeeps but will work in any other vehicle with Corbeau custom brackets. We integrated our state-of-the-art reclining technology with the Baja SS Off Road seat and from that came the Baja RS Reclining Off Road Seat. 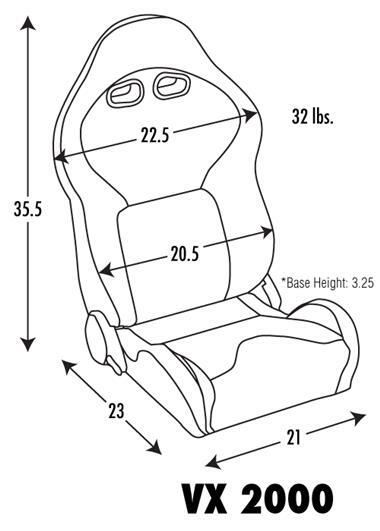 Our expertise on comfort and our experience with reclining performance seats is what makes the Baja RS one of the most advanced reclining suspension seats on the market today. The Baja RS will enhance not only the look of your vehicle but also your overall driving experience. As a rule of thumb, the Baja RS Off Road Seat will fit up to a 42-inch waist while still comfortably fitting smaller drivers. The Baja RS Seat is available in black vinyl/cloth fabric. The VX2000 racing seat is a revolutionary designed reclining seat, ideal for drivers of all sizes. This anatomically advanced seat features an injection molded, composite shell back. This unique and stylish seat will give your interior that added luxury you are looking for. Whether on street, the track, or off-road, the VX2000 racing seat will enhance your overall driving experience. As a rule of thumb, the VX2000 will fit up to a 42-44 inch waist while still comfortably fitting smaller drivers. The VX2000 racing seat is available in Vinyl with Cloth inserts and 100% black Leather. Call our Parts Specialist for more details!